Budweiser's parent, Anheuser-Busch, is "agitated" over tariffs, Sen. Bill Nelson says. TALLAHASSEE — Anheuser-Busch is synonymous with St. Louis, but what's not as well-known is that the beer company has long had a big operation in Jacksonville, quenching Florida's thirst. Since 1974, the king of beers has produced aluminum beer cans there, cranking out up to 2,500 a minute — a thriving operation that it says is threatened by President Donald Trump's tariffs on imported steel and aluminum. A year ago, Anheuser-Busch opened a metal container plant that makes aluminum bottles, adding 75 jobs with the help of state incentives from Gov. Rick Scott, who clutched scissors at a ribbon-cutting in May of last year and was on hand for a ground breaking ceremony in 2015. In the middle of a U.S. Senate race, Scott is suddenly caught between the president he supports and the business community that has backed him for eight years but which staunchly opposes Trump's trade policy as bad for jobs. One of Scott's biggest allies, the Florida Chamber of Commerce, says Trump is inviting a trade war with U.S. allies and that the tariffs could put Florida's economy at risk — jeopardizing the cornerstone of Scott's agenda as governor. Related coverage: Trouble brewing? Trump's tariffs worry Florida's craft beer makers. "I think it is important that we have free trade, but it has to be fair," he said at a Tampa visit in April. "If we're trying to sell there (another country), we should have the same opportunity as they have the right to sell here." 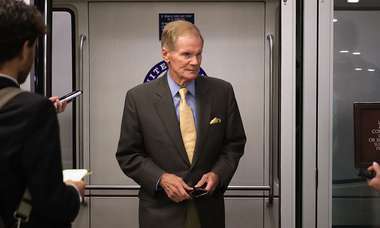 Scott's opponent, Democratic Sen. Bill Nelson, who toured the Jacksonville plant in April, says the brewer is "quite agitated" over Trump's actions. "You put a 10 percent tax on aluminum and that adds up to real money for the consumer," Nelson said. In a statement, Nelson said: "Starting a trade war with our closest allies is the last thing we should be doing. No one wins in a trade war, especially hardworking families who may have to pay more for the goods they buy every day." Scott's campaign has not responded to a Times/Herald request Tuesday for more details on his position. Scott was raising campaign money in San Francisco Wednesday. After Trump signed proclamations imposing the tariffs, America's allies have responded with intense criticism and retaliatory trade sanctions of their own. The European Union said Wednesday it will impose new duties on a wide array of U.S. products, including another popular beverage and Florida's most iconic product of all — orange juice. Talk about a pocketbook issue: The cost of a six-pack of beer could emerge as a flashpoint in Florida's U.S. Senate race. "Because beer is increasingly packaged in aluminum cans, the proposed 10 percent tariff on aluminum will likely cost U.S. brewers millions of dollars, making it more difficult to grow and further invest in our U.S. operations," Anheuser-Busch said recently. "We urge the administration to consider the impacts of these decisions on the thousands of hard-working Americans and the millions of beer drinkers that make up the U.S. beer industry." Peter Quinter, a Florida lawyer who heads the international trade law group at the GrayRobinson law firm and has 30 years of trade experience, said Florida residents will feel the impact of Trump's tariffs in a lot of ways. "The effects will be everywhere — the construction of a building, an A.C. unit, a can of beer," Quinter said. "Steel and aluminum are the basis of much of what we use. Everything will go up." The tariff's effects on the beer industry will be far reaching, hurting not just massive companies like Anheuser-Busch but the craft beer industry, too. Jim McGreevy, president and CEO of the Beer Institute, a national trade group, said the tariff is a $347 million tax on the brewing industry. 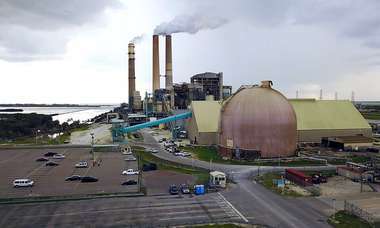 "This has very negative impacts to end users of aluminum," McGreevy said. "For brewers, aluminum is the single biggest ingredient cost." 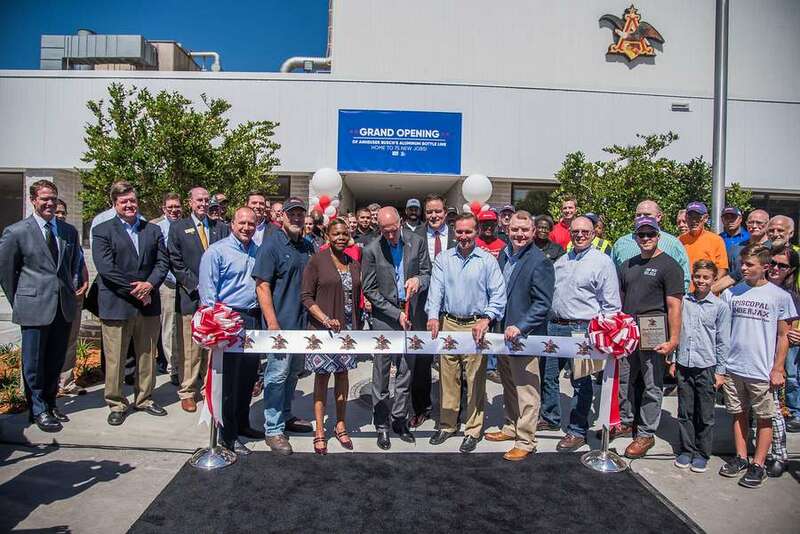 "I look forward to seeing Anheuser-Busch's ongoing success in Florida as we continue to fight to bring more important jobs like this to our state," Scott said in a statement issued by his office last year. Anheuser-Busch's Jacksonville brewery opened in 1969 and is its fourth-largest brewery. The company employs about 800 people in Jacksonville. Craig Tomeo, general manager of the Jacksonville brewery, addressed Scott and the Cabinet in 2013 and said a year's worth of cans produced in Florida, stacked end to end, would circle the Earth seven times. "Most of those cans stay in the Florida market," Tomeo said. RELATED COVERAGE: Trump's tariffs could spark trade war, Florida Chamber warns. Where does Gov. Scott stand on Trump's tariffs?